Sale. 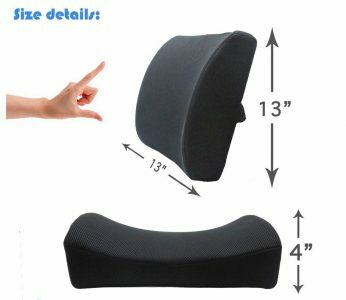 Amazon (Love Home) has a Love Home Memory Foam 3d Ventilative Mesh Lumbar Support Cushion Sale in Black, $9.99 after Coupon Code: 3D20OFFO - Free Shipping $49 or with Prime. Expires Soon - Rated 4.3 out of 5 stars.